Yum. All the good things combined into a great little cookie. These are so easy and delicious. Preheat oven to 350 degrees. in a large bowl combine the butter, peanut butter and sugars. Beat with the paddle attachment until the mixture is creamy. Add eggs, vanilla, cinnamon, and baking soda, then mix well. Stir in the oats, raisins and walnuts to the batter. Drop by the teaspoon on greased cookie sheets. Bake for 9-12 minutes. Sometimes the cookies split a part, just gently push them back together as you remove them from the pan! 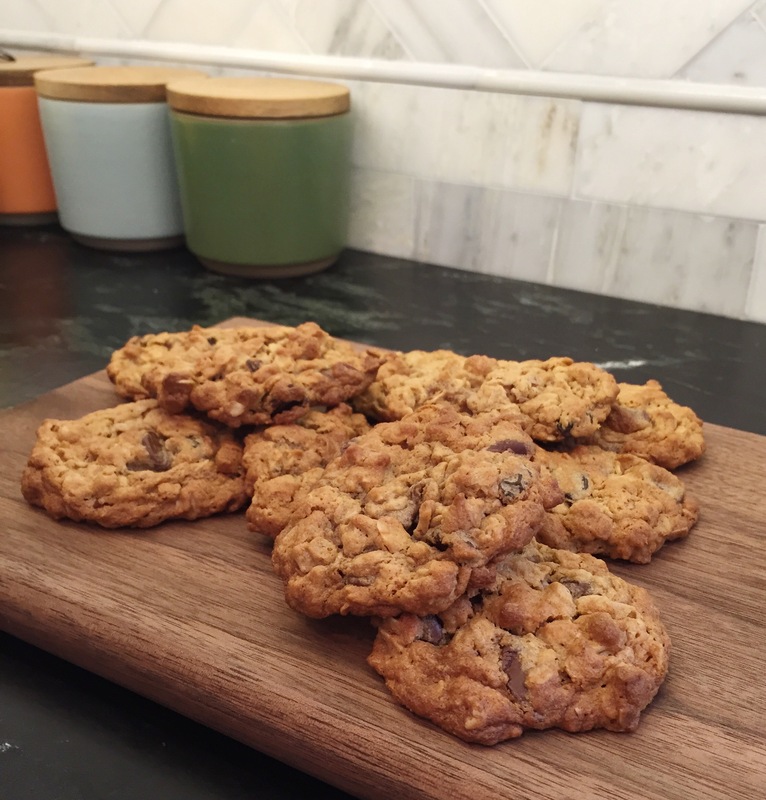 This entry was posted in baking and tagged baking, chocolate chip oatmeal raisin cookies, cookies, gluten free. Bookmark the permalink.